It's no secret that the McCains own somewhat of a real estate empire. 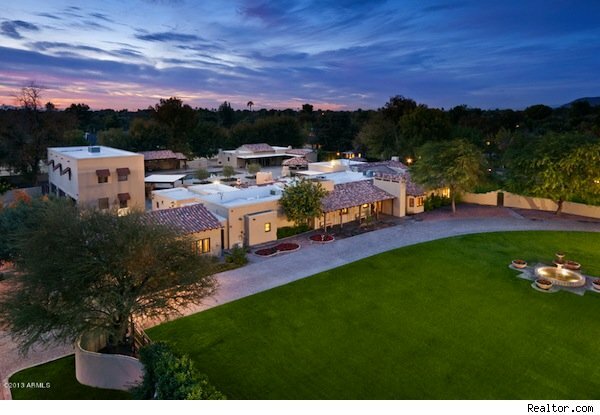 At the time of John McCain's run for president, the Arizona senator owned several homes in Arizona, three in California and one in Virginia, for a total of seven properties. 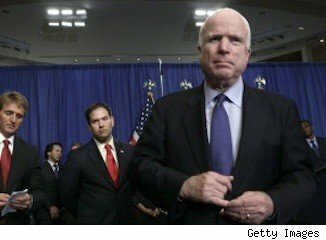 Right before McCain entered the presidential race, the count was at eight. He and his wife, Cindy, also owned her childhood home in Phoenix. The couple spent 20 years at the residence, raising their family there. They sold the home in 2006 for $3.2 million to real estate investor Jane Popple, who turned it around and listed it just two years later for $12 million. Popple had updated the home in a "Tuscan style" with new floors, finishes and furnishings, as well as adding a theater room and an enormous garage with four-bedroom guest suite. Popple didn't get her asking price. After major price cuts, the home was slated to go to auction at $10 million, but even then failed to attract a buyer. Shortly after, the home was offered as a short sale and according to property records, finally sold for $1.8 million in 2011. The new owners are apparently trying their luck in a stronger housing market, first listing the estate for $3.5 million in spring and summer of 2012. After a brief hiatus from the open market over the holidays, the house is listed again, this time at $2.9 million. The compound measures 14,383 square feet, with seven bedrooms and 6.5 bathrooms in the main house and an additional 2 bedrooms, each in a guesthouse. The 2-acre, gated property features sprawling lawns and patios, a swimming pool with spa, and two ramadas. The massive master suite opens out to a private patio and spa. Find more homes for sale in Phoenix, or search listings in your area.